I love baking on my days off. 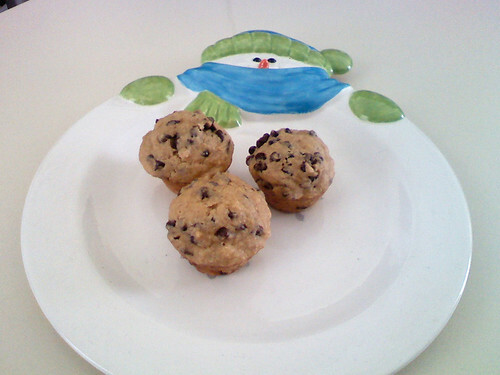 We had some sad looking bananas so I visited a couple of my favorite websites for recipes (Splenda and AllRecipes) and found some yummy looking banana and chocolate chip muffins. 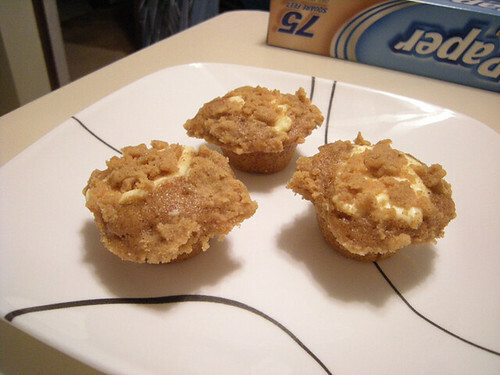 I sprayed the mini-cupcake pan and the muffins popped out PERFECTLY. Not burnt, not undercooked, absolutely perfect. Well received by Mom and Dad!